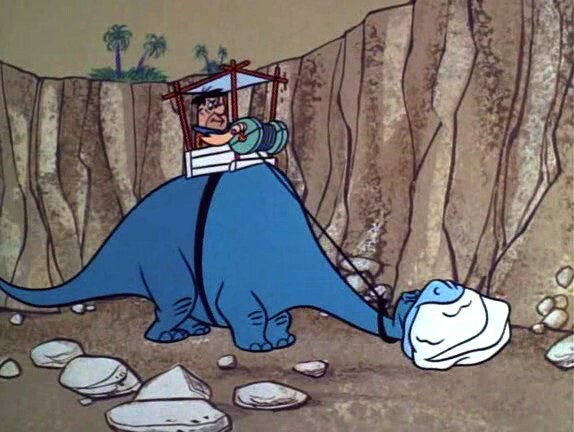 A screenshot from the popular children’s show The Flintstones, which depicted humans and dinosaurs coexisting. You might be thinking to yourself, There is no way that people today still believe that humans and dinosaurs lived together! But unfortunately, people are a lot stupider than you think. According to a poll in 2010 by the National Center for Science Education, approximately 40% of American adults believe that man and dino were around at the same time. 40%. Forty. Percent. That is almost half of adult Americans. Stuff like this baffles me. It is outrageous that people think this. Now let’s get back to my job: teaching y’all the truth. Modern humans with extinct animals, including a mammoth, and pterosaur, and a sauropod. Humans and dinosaurs did not live together, or anywhere near each other. We missed the dinos by about 65-ish million years. We know this due to fossil records and Bill Nye. So that was settled easily. The reason that this myth is so widespread mainly has to do with Creationism. 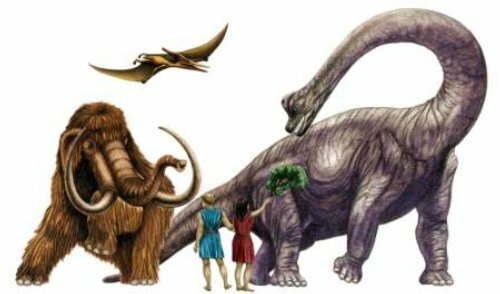 A majority of creationists believe that man and dinos lived in the same time for many different reasons, including Biblical references to sauropod-like creature called Behemoth, and what not. The fact of the matter is, we have scientific evidence that dinosaurs predate man by at least 65 million years. Thank you for reading, hope y’all are a bit smarter! This entry was posted in Uncategorized on November 13, 2014 by debunkminefield. First, things first, how big is the Great Wall of China? Well the Great Wall of China is around 13,670 miles long, and it covers nearly 4,000 miles of Chinese territory. While it is very long it is only 30 feet wide at it thickest sections. Now I’m not saying that it’s not impressive, what I’m saying is that it is not big enough to be noticeable from outer space. It’s thickest width is 30 feet, now look at that from 22,000 miles away and lets see if you can notice a big sidewalk. This is the same as looking at a green paper from 190 feet away and trying to spot a grey line with the width of 2 mm. Something that also does help the Great Wall of China from being visible is its color. The entire thing is grey and most of it is in a very dense jungle. Not only is the color very dull but the is low contrast between the colors is very low. Since most of the materials used to make this beautiful wall were very natural color. The materials used to make this wall where either wood, brick, or stone. This is the main reason why it is so difficult to spot from space. The common misconception of the Great Wall of China being visible from space with out aid is common because not that many people can go to space to confirm this idea completing the circle. Thanks for reading! We hope that you’re smarter than when you started! This entry was posted in Uncategorized on November 4, 2014 by debunkminefield. Actor Morgan Freeman recently starred in Lucy, a film who’s entire plot is based on today’s misconception. The idea that humans only use 10% of our brains is one of the most widely popular myths. Even recent films like Limitless starring Bradley Cooper and even more recently Lucy starring Scarlett Johansson and Morgan Freeman. These films use the idea that because we use only 10% of our brains, if we gain access to the rest of it, we will gain heightened intelligence, or even god-like powers. It’s widely accepted as truth due to common people’s low understanding of the brain. It’s unfortunate that this misconception is used in big-blockbuster flicks, because it spreads the idea even more. Neurologist Barry Gordon describes the myth as false, adding, “we use virtually every part of the brain, and that [most of] the brain is active almost all the time.” If humans didn’t use all of our brain, we would probably just flop around on the floor, with no real intentions or objectives. The idea originated in the early 1900s, when scientists studied child prodigies, they claimed that humans don’t use all of our mental capacities. This was later blew out of proportion with the self-help movement around the 1930s. We use all of our brains capacities. Dear Hollywood, the next time you decide to make a flick based entirely on a misconception, think of the people who will believe you, think of the people you are making stupider. Thanks for reading, hope you enjoyed! This entry was posted in Uncategorized on October 28, 2014 by debunkminefield. The idea of having senses is not wrong, but the idea of having only five senses, is. This concept was first thought up by Aristotle. He claimed that the human body had five senses: touch, smell, sight, taste, and hearing. These sense are all real senses but there are many more than just these. Most of the senses that people don’t know about are used everyday. The extra 13 senses that people use are not too familiar with are as follows. Pressure: the sense to measure how hard something is. Itch:(different from the touch and pressure) it is a sense that informs your body that something is different. Thermoception: the ability to sense heat and cold conditions. This is why people tend to sweat. Proprioception: the sense to tell where your body parts are. This sense is commonly used as a test to see if someone is under the influence. Tension Sensors: the ability to tell if you have muscle tensions. Without this sense you would not be able to tell if you were flexing or not. Nociception: the ability to tell if you are experiencing pain and where exactly the origin of the pain. This is different from touch because you also feel internal pain with this sense. Equilibrioception: this is the ability to keep your balance. This is the main reason you can ride a bicycle without falling. Stretch Receptors: this what make your internal organs work without manually doing so. Main reason why you don’t have to worry about you not breathing when you sleep. Chemoreceptors: better known as the gagging reflex, this ability makes you slow down ,or even stop vomit coming up your esophagus. Thirst: a way to sense your hydration level. This is what makes you crave water. Hunger: the ability to tell your body to eat. Almost exactly like thirst intead of hydration it’s a way to sense your energy level. Watch out if you eat to many sweets your energy level might go over 9000. Magentoception: this is the ability to detect magnetic fields, which is primary useful in providing a sense of direction when detecting the Earth’s magnetic field, basically your inner compass. Time: the sense to tell roughly how much time has gone by. This is done by using the cerebral cortex, cerebellum, and basal ganglia. It’s similar to remembering what you did and remembering fast time moves. These are senses that people use everyday, but why do people think they’re not senses? Easy, because people are taught that there are only 5 senses. So this one is not your fault America rather its the fault of society and education. It a same that people don’t know about the extra 13 senses, but now you know. This entry was posted in Uncategorized on October 22, 2014 by debunkminefield. Contrary to popular belief, Napoleon Bonaparte, one of the most influential Europeans of all time, wasn’t very short. Due to British propaganda of the time, him being called le petit caporal, and the height of his elite guard, many believed that this great general was a very small man. 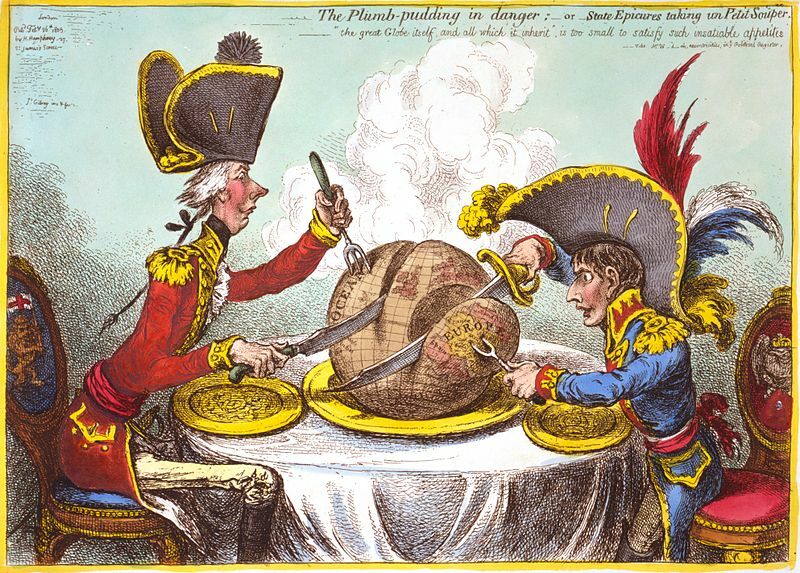 British propaganda is probably the main reason people, even today, believe that Napoleon is short. The British depicted Napoleon as of smaller than average height, and this image of him still persists in modern Britain. It was rumored that he stood 5 ft. 2 in. (1.57m). His actual height was about 1.7m (5 feet 7 inches), average height for the time or slightly taller. Another reason he was seen as shorter was because of the difference in British inches and French inches. A French inch of the time was about 2.7 cm, and a British inch was 2.54 cm. A caricature depicting a wee Napoleon. Other assorted reasons for the belief that Napoleon was short include him having the nickname le petit caporal, and his guards being really tall. Napoleon’s nickname has lead to some confusion, as people interpret petit by its literal meaning of “small”. It is actually an affectionate term reflecting on his trust and compassion with his soldiers. Napoleon also surrounded himself with his elite guard, who were required to be 6 ft (1.83 m) or taller, making him look smaller in comparison. Thanks for reading! We hope you learned something! This entry was posted in Uncategorized on October 15, 2014 by debunkminefield. 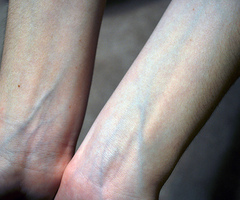 As we look down at our wrist it is clearly visible that blue-ish veins emerge from underneath our skin. Surely this must mean that we have blue blood, or are that we are amazing mutated beings that can change the color of the fluids that circulate throughout our bodies. This a misconception because, the statement implies that a our blood changes color when it is oxygenated. If this idea where to be true, our blood would be turning from blue to red inside our body. The main reason we breath in is to get oxygen throughout our body via our veins. This means that our blood is already being oxygenated from the start. This makes people ask the question “then why our veins blue.” The answer to that question is the same reason why mountain dew looks green inside the bottle, but when poured out into a clear colorless container the liquid turns into a more yellow tone color. The liquid itself isn’t changing color, rather the bottle is green and is opaque enough to make the liquid look like the bottle. The only difference between the mountain dew bottle and our veins is that a veins are much more opaque than the bottle. The main reason people believe this misconception is because when people hold their breathe their lips and complexion seem to turn blue-ish or purple. When our blood doesn’t have enough oxygen it turns into a dark red, the same color of blood that is being drawn from your body. People who believe this myth often claim that the reason we never see blood in its blue form is because that the instant we get cut, the blood is exposed to oxygen and thus, instantly turns red. The main reason why it’s such a perfect misconception is because, people believe that they will never see blue blood so they listen, believe in the myth, and later spread the idea to the uninformed completing the circle. This entry was posted in Uncategorized on October 8, 2014 by debunkminefield. There’s a few things wrong with this idea, but the two biggest fallacies are that a) Daddy Long-Legs are not spiders, and b), Daddy Long-Legs are not poisonous. Let’s elaborate. a) Daddy Long-Legs are not spiders: Although they look very similar, Daddy Long-Legs are not spiders. They belong to a different order/class than spiders, but are still arachnids. They are commonly called harvestmen. An easy way to tell the difference between harvestmen and spiders is by comparing their bodies. Spiders have two body segments, the cephalothorax and the abdomen, while harvestmen have only one. Spiders also have four pairs of eyes, while harvestmen only have a single pair of garbage eyes. 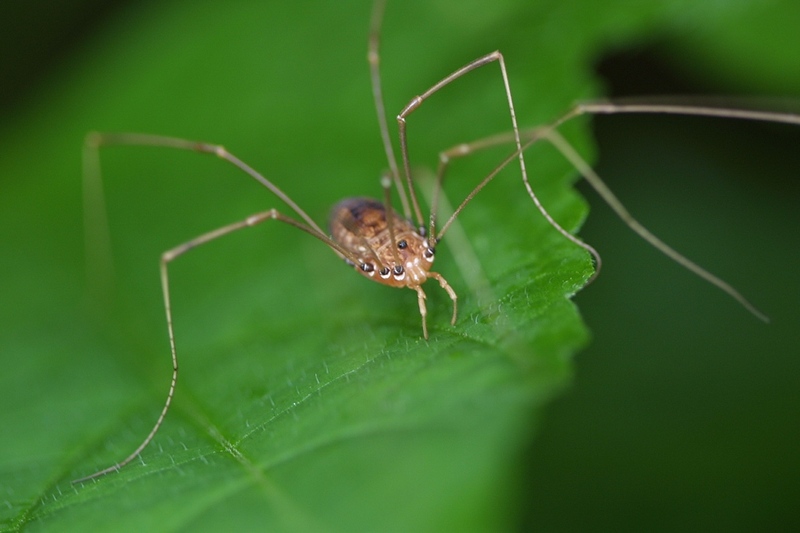 b) Daddy Long-Legs are not poisonous: The misconception states that harvestmen are the most poisonous spiders in the world, but we’ve already made clear that they are not spiders, so what of their deadliness? First things first, harvestmen, as well as spiders, are not poisonous. It is commonly thought that they use poison to kill prey, but it is actually venom. Poison is something ingested, like cyanide, but animals use venom to kill their prey by injecting into them. So by principle, harvestmen are not poisonous. So are they venomous? No. Harvestmen don’t have venom glands, and they also don’t have fangs like spiders, which are hollow, but instead have more of grasping claws that are used to grind up food. 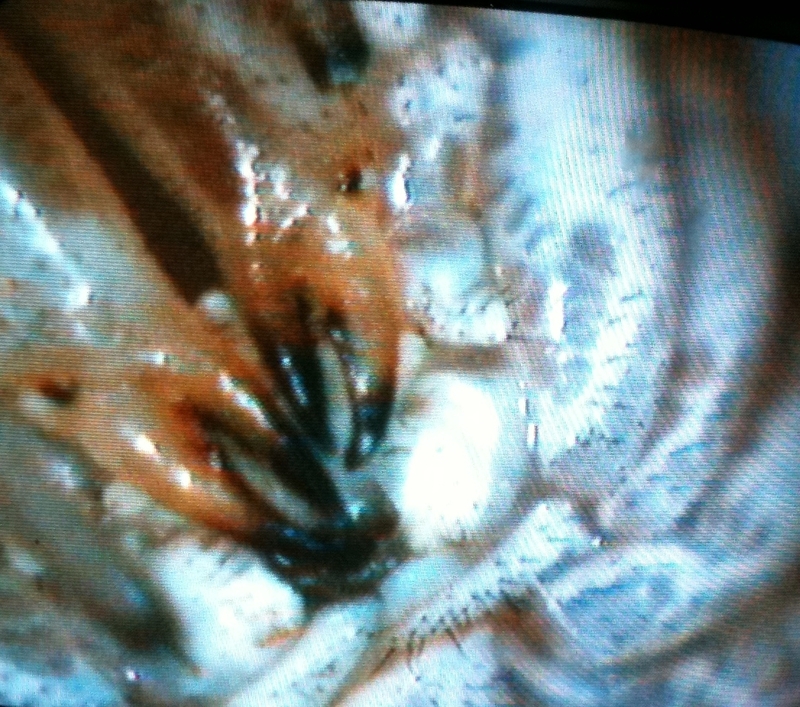 Close up of harvestmen’s chelate chelicerae. If all of this evidence is so clear, why do people believe it? Because this misconception covers its tracks. You can’t make a claim like this without someone asking, “Well then why hasn’t anyone died from a bite from one of these?” They answer this by saying “Oh, well its mouth is too small to bite people.” Full circle complete. It is true that they’re small fangs are too weak to break human skin, although that is the only true thing about this myth. This entry was posted in Animals and tagged Daddy long leg on September 29, 2014 by debunkminefield.